Jerry Ehrlich, photo by Scott Lapham. rebar expresses itself in ways that—although characteristic of the material—are not reflective of its intended use. 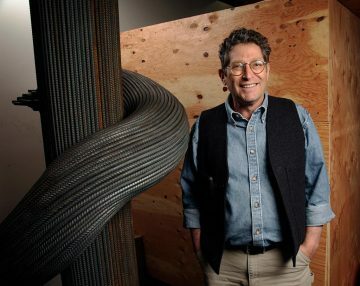 Ehrlich has pieces in private collections around the world and at US colleges and corporations. He currently shows with Causey Contemporary in New York City, has three pieces at Tiverton Four Corners Arts Center Sculpture Park and another across from the Providence Civic Center. 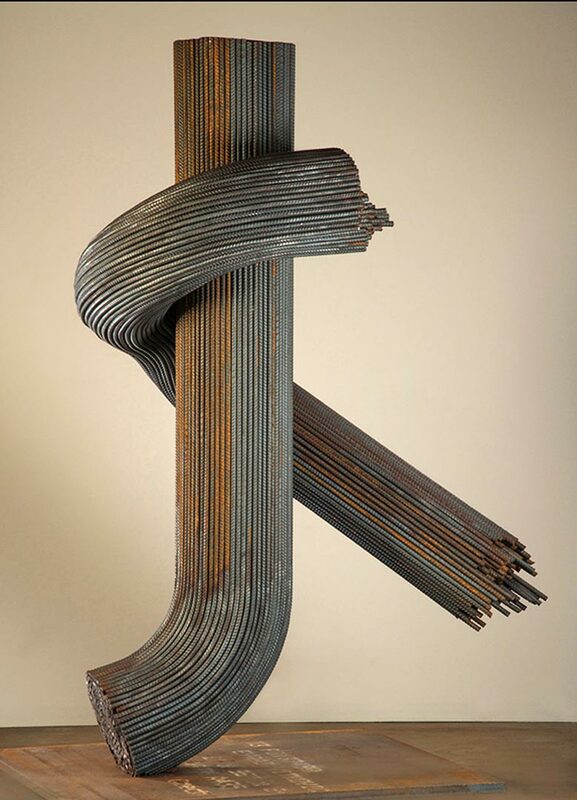 Steel, 36 x 60 x 78 in.